Updates to Jerome H. (Jerry)'s profile since your last visit are highlighted in yellow. The summer after leaving Trinity, I traveled around the country with a high school friend, camping in jungle hammocks borrowed from Bruce McClenahan and Bob Wallis. We visited Dave Beck and Mark Aron in Utah (where a bear woke me up while I was in my hammock!) and Ed Gamson in Chicago. I started medical school at Columbia knowing I wanted be a child psychiatrist. While there, I continued my Jesters "career," directing musicals – "H.M.S. Pinafore," "Boys From Syracuse," and "Guys and Dolls." I married Roni just before graduation. We moved to San Francisco, where I interned (Mt. Zion Hospital), enjoying rotations in Home Care (tooling up and down the hills visiting patients), Pediatrics, Surgery (where I mainly talked to patients! ), and ER (across the Bay Bridge at Oakland General). I was fortunate to get a Berry Plan deferral from having to go to Viet Nam as a medic, with the understanding that I would serve in the Navy as a psychiatrist for two years. So we returned to New York for my residency in General Psychiatry (at Einstein in the Bronx). The last year of my residency (1972-73) was spent in Jerusalem, where we enjoyed living (and eating) with many diverse cultures, including Palestinian Arab, Armenian, Russian, and Israeli. We then left for Camp Lejeune, NC, where the "culture shock" was greater than in Israel! I served on the marine base as a psychiatrist. A LCDR in the Naval Reserve, I co-ran the acute inpatient unit the first year and ran the alcohol rehab unit the second. Our daughter, Karen, was born there, bringing us much joy and relief – from Watergate, Nixon's resignation, and Marine military culture. After Camp Lejeune, we returned to civilization – living in Emerson, NJ, while I was a child and adolescent psychiatry resident at Einstein, and where David and Adam were born. I stayed at Einstein (Jacobi Hospital) another two years as unit chief of the child inpatient unit and on the faculty. I then joined the faculty at Cornell-Westchester, where I ran the Child & Adolescent Outpatient Department and was associate director of training for six years. I am still teaching and supervising at Cornell, a Clinical Associate Professor on the voluntary faculty, and have a full-time practice in an office suite in our home in Scarsdale, where we have lived since 1981. I am also the newsletter editor and webmaster for the Westchester Psychiatric Society. Roni and I enjoy spending time with our three little grandchildren, who keep us young (but achy). We are also active in genealogy and travel each year to the meetings of the International Association of Jewish Genealogical Societies, which have been held in cities around the U.S.and in London, Paris, and Jerusalem. Photography is a hobby, and I am still working on some photo books of our travels. Life has been good to us and I have no complaints or regrets. 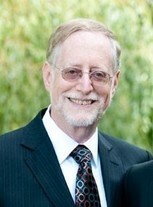 Jerome H. (Jerry) Liebowitz updated profile. View. Jerome H. (Jerry) Liebowitz changed profile picture.